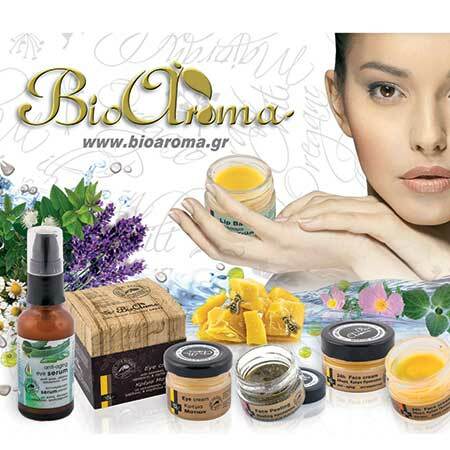 To προϊόν Φυσικό λάδι εγκυμοσύνης Bioaroma προστέθηκε στο καλάθι σας. 100% Φυσικό λάδι σώματος για την περιόδο της εγκυμοσύνης. Προσφέρει ελαστικότητα και προστατεύει την επιδερμίδα της εγκύου από τις ανεπιθύμητες ραγάδες. Natural body and skin pregnancy oil by Bioaroma, with organic calendula and coconut oil to prevent stretch marks and keep your skin elastic and hydrated. During your pregnancy, your body and skin deserves extra attention and special care. By applying daily this nutritious and healing, 100% natural pregnancy oil to your body and skin from the very first days of your pregnancy, you can prevent stretch marks and keep you skin elastic and hydrated. Rich in vitamin E other vitamins and minerals, is ideal for new moms. Ingredients: Coconut Oil, Hyperic Perforatum (St. Johns’ wort) Flower Extract, Organic Calendula Officinalis (Calendula) Flower Extract, Almond oil. Without essential oils.